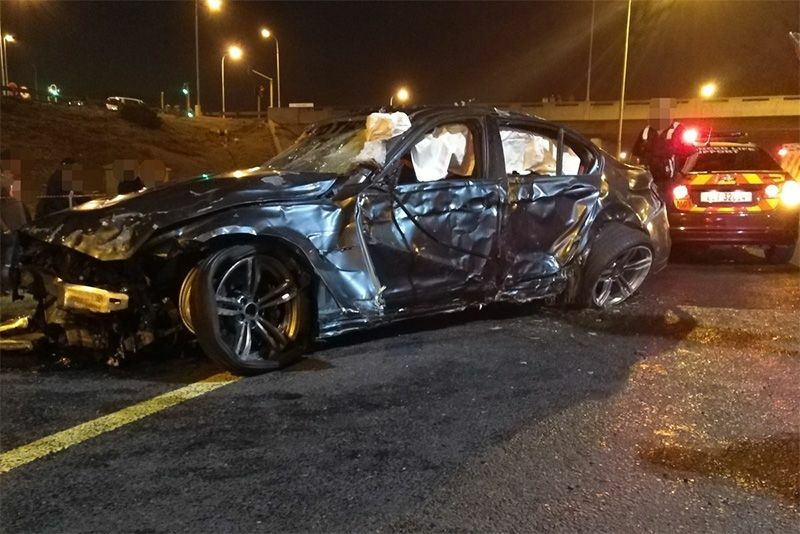 Illegal street racing in South Africa has ended in tears as a BMW crashed at high-speed on the N1 highway in Cape Town this past weekend. Videos of a high-speed crash during an illegal race on a national highway in Cape Town have been doing the rounds on social media, with tragic consequences. The videos – filmed from a bridge where a group of people were watching the racers approaching – appear to show two vehicles and a motorcycle in a high-speed race when the BMW loses control, crashing into and then over the barrier, spinning across the oncoming traffic. There are conflicting reports regarding the status of the driver who was taken to a hospital. Illegal street racing in South Africa is a popular pastime but stories like this get the public's tongue's wagging. Many are condemning the 'sport', saying it belongs on the track in a safe environment and not endangering the rest of the citizens on public roads. Others condone street racing, citing the thrill and adrenaline that fuels the fire inside the petrolhead. We say, be responsible out there everyone. There is a time and a place to satisfy your petrolhead hunger, endangering the lives of other road users should be enough incentive to find a place to do it safely. Check out the video below and take a look at another angle here.